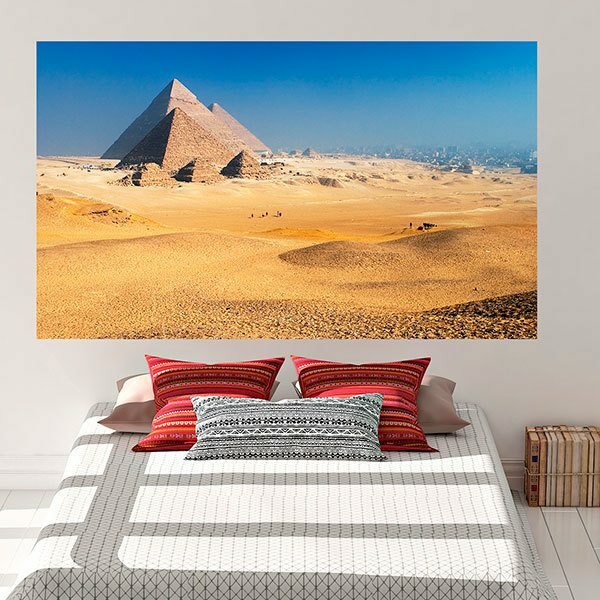 Adhesive vinyl poster Pyramids of Giza. 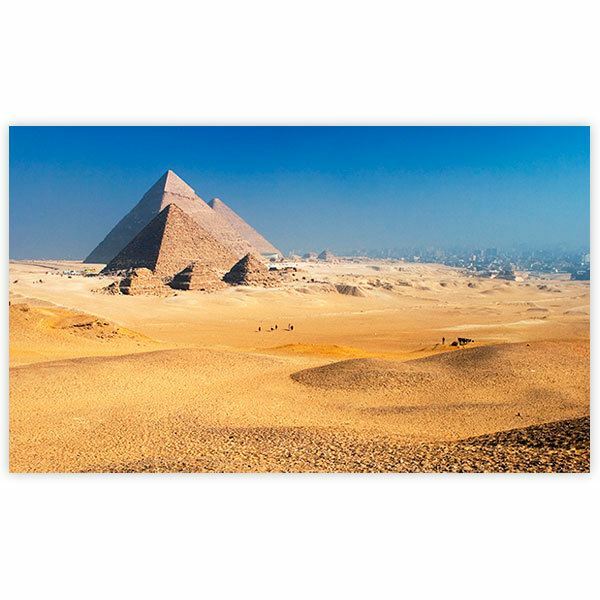 Fabulous image of the famous pyramids built by the pharaohs Keops, Kefrén and Micerino, during the fourth dynasty. They are located 20 km from Cairo. In front of them are the pyramids of the queens, completing the funerary complex. 15.75 x 9.06 in. 19.69 x 11.42 in. 23.62 x 13.78 in. 27.56 x 16.14 in. 31.50 x 18.50 in. 35.43 x 20.87 in. 39.37 x 23.23 in. 43.31 x 25.59 in. 47.24 x 27.95 in. 51.18 x 30.31 in. 55.12 x 32.68 in. 59.06 x 35.04 in.